Update: Embedded this interesting video on the (simplified) explanation on "Crisis of Credit". The Crisis of Credit Visualized from Jonathan Jarvis. Related article: Sub-prime Crisis for Dummies. Go here for WIRED.COM version of "economic explanations [of the crisis] even we could understand" targeted towards the techie community. 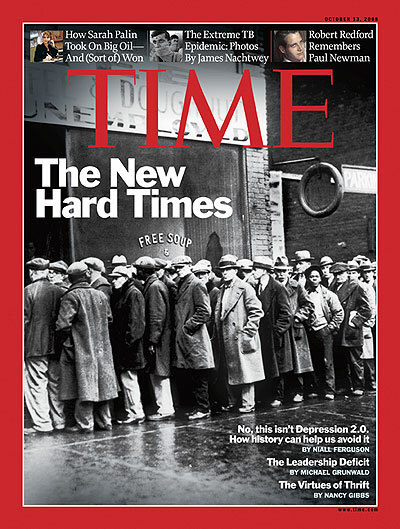 Go here for the Time mag current issue (Oct 13, 2008) and a very interesting narration for the common man by economist Niall Ferguson .